The FOREX (i.e., FOReign EXchange) market is an international market where the money (currency) of every country is sold and bought freely. It was launched in the 1970s at the moment of introduction of free exchange rates, and the price of one currency against another that occurs from supply and demand is determined only by market participants. There is no external control, and competition is free because all the participants can decide to transact or not. In this respect, the FOREX is a perfect market because it can't be controlled or monopolized by any of its participants. The enormous number of transactions executed day after day in a continuous activity make it the biggest liquid financial market. According to various assessments, money masses in the market constitute up to US $4.5 trillion a day. This market has seen recent turnover as high as US $6 trillion in a day, and the average most recently has been hovering at around US $3 trillion a day. The exact figure can't be determined because the transactions are not centralized on a single exchange. Greenwich Mean Time (GMT) on Monday (some starting a little earlier) to 10:00 p.m. GMT on Friday (some closing a little later). There are dealers quoting currencies in every time zone through the main central markets: Frankfurt, London, New York, Tokyo, Hong Kong, Australia, New Zealand, etc. To get a better understanding of FOREX quotes, you just have to know that one unit of the base currency is equivalent to the exchange rate in the quote currency. For example, if EUR/USD is trading at 1.2762, the price of 1 euro (base currency) in dollars (quote currency) will be 1.2762 dollars. FOREX trading is conducted through individual contracts. The standard contract size (also called a lot) is usually 100,000 units. This means that for every standard contract you acquire, you are controlling 100,000 units of the base currency. For this contract size, each pip (the smallest price increment) is worth $10. Many companies offer mini accounts in which you can trade units of 10,000, where the pip value is $1 or even smaller. In comparison with other markets, trading the FOREX market allows very low margin requirements because of leverage. In FOREX, you don't need to obligatorily buy a currency first in order to sell it later. It is possible to open positions for buying and selling any currency without actually having it at hand: For a standard account size, usually Internet brokers establish a minimum deposit such as $2000 for trading in the FOREX market and grant a leverage of1:100. That is, opening the position at $100,000, a trader invests $1000 and receives $99,000 as a credit. For those wishing to get started at a smaller investment size, many brokers offer a mini account. 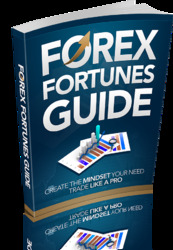 The FOREX mini account offers smaller contract sizes controlling $10,000 units. The usual account minimum to start a mini account is about $250. With a mini account, you only need $50 as a margin deposit requirement per every $10,000 lot traded. The leverage is usually 200:1 (10,000 50 = 200), and in some cases it can rise to 400 or 500:1 (you then would need even less margin to operate). Thus, with $250, you could trade a maximum of 5 minilots; with $500, a maximum of 10; with $1000, a maximum of 20; etc. This leverage is 50 times greater than for stocks (stock day trading provides a 4:1 intraday leverage for traders who have $25,000 or more in an account by U.S. law). Using a high degree of leverage is not always appropriate because it can be very risky, but it provides the trader with a higher degree of flexibility for the execution of different trading strategies. Even further, now some brokers are offering a micro account. I personally would not recommend these because the leverage is really high, but a micro account may be a good way to get your feet wet, so to speak, by trading real money before moving on to a more standard size account. Micro accounts require as little as $25 to open and be able to control $1000 units. The pip values, on average, are about $0.10 (10 cents). You can always go to www.JamesDicks.com to see what brokers I use. 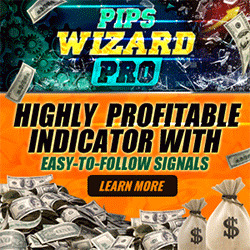 The FOREX is able to maintain its objectivity and avoid being controlled or manipulated by one or few of its participants because the volume transacted is so high that if any of them would want to do so, by changing prices at will, they would have to operate with tens of billions of dollars. This is the reason why the FOREX can't be influenced by any single participant, and even though there are situations where a huge transaction can seem to take control of the market for a few moments, the balance is established again almost immediately because of the great liquidity involved. This also allows traders to get a profit by opening and closing positions within a few seconds. The FOREX market is always moving. You can chose to maintain a position for a very short time or for longer periods, even years; it will depend only on your own trading strategies. In the FOREX, it is possible to perform speculative activities without the need for a real money supply. This is referred to as marginal trading. The amount required as a guarantee for the transaction is low, thus providing an opportunity to open positions with a small account in U.S. dollars (some local brokers also accept some of the main currencies, such as the euro, pound sterling, Japanese yen, etc.) and buy or sell a lot of other different currencies. Transactions can be conducted very quickly and yield a profit while the exchange rates go up or down. Marginal trading implies operating with borrowed capital, where you need only a small percentage of the total sum of the transaction. For example, you have analyzed the situation in the market and have come to the conclusion that the euro will go up against the dollar. You open 1 lot for buying the euro (EUR) with a margin of 1 percent (1:100 leverage) at the price of 1.2750 dollars per euro (the margin needed will be $1275) and wait for the exchange rate to go up. Sometime later, you see that your analysis was right. You close the position at 1.2827 and earn 77 pips ($770). Most currencies have a daily range of fluctuation of about 100 to 150 pips on average, some even more. This gives FOREX traders the opportunity to make money on these changes. There are several tools that allow the trader to be able to understand and make decisions on the market, grouped basically under fundamental or technical analysis. There is a constant exchange of political and economic information going on, and it is important to be informed on this because this will have an impact on the overall behavior of the market and will show market reaction as price changes. This is called fundamental analysis, an overview on all this information and how it affects a particular country and currency value. Fundamental analysis takes account of rumors, political events, and the local and international economy, such as, for example, the rates of inflation and unemployment, taxes, and interest rates. The political stability of a particular country and unexpected events also have great influence on the fluctuations of that country's currency. Sometimes, especially in the case of economic forecasts, this information can become a self-fulfilling prophecy in that a certain outcome is expected, so the market reacts before the fact, thus starting a movement in prices that can be seen as an early move, and if the forecast is confirmed, the prices suddenly can start going in the opposite direction from the real move because the predicted result has already occurred, and traders are now closing their positions. This can lead to market reactions that seem completely opposite to what the economic releases are implying for the currency, although there are also many details that could be modifying the outcome because all the currencies are moving in unison, and their respective interaction will affect all the others. Thus the fundamental details sometimes can be too big to grasp completely. Only the big banks and financial institutions, which employ professional economic analysts, can have access to a more precise and wide array of information with timely accuracy. Technical analysis affirms, on the contrary, that all this information is already priced in and that the resulting reactions are visible on charts. It is based essentially on prices, time, and volume: What are the lowest and highest prices that a currency has reached in how much time or during what period, and how many transactions were performed? Technical analysis also assumes the repetitiveness of the market, which it most probably will perform again in the future as it has already performed in the past. It analyzes past quotes and predicts the prices to come based on statistical and mathematical calculations. Both technical and fundamental analyses complement each other. A professional trader should consider both sides at any moment because some of the elements of each type of analysis will be present in the other. For example, a fundamental trader will have to consider resistance and supports, and a technical trader must be aware of the news that will have an impact on price changes.